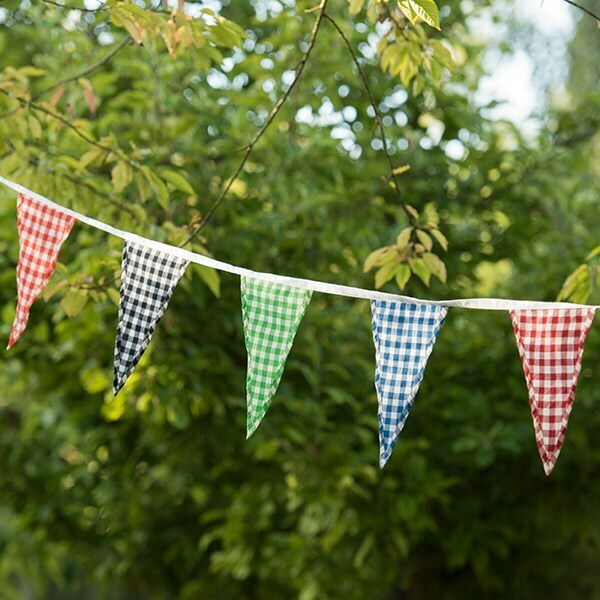 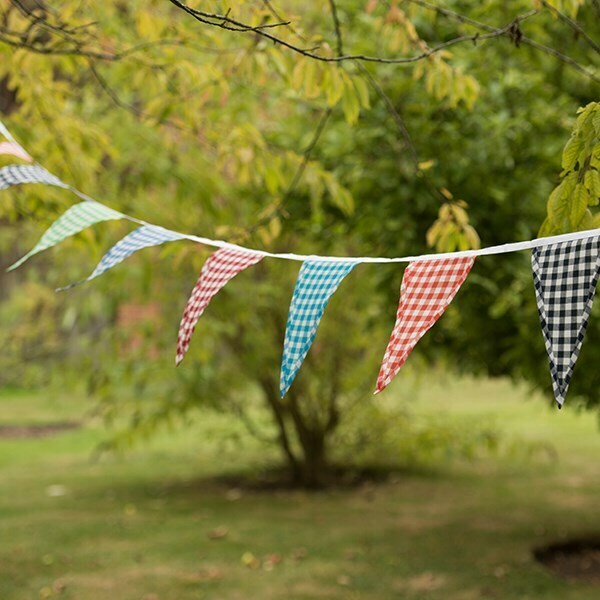 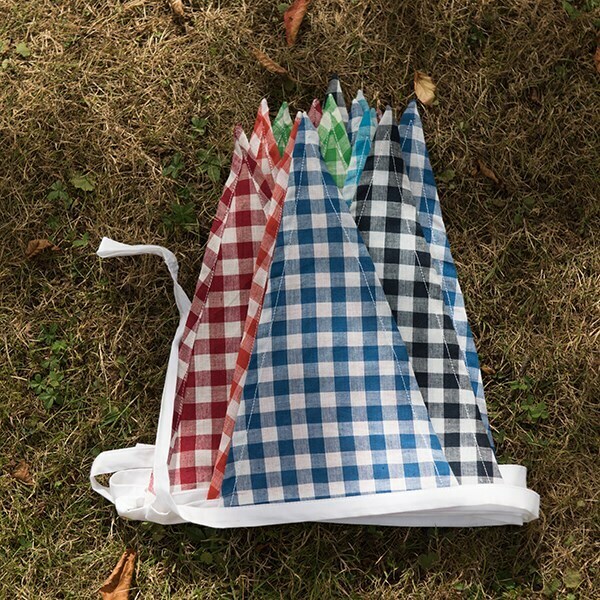 Capture the spirit of summer picnics and garden parties with this cheery checked bunting. 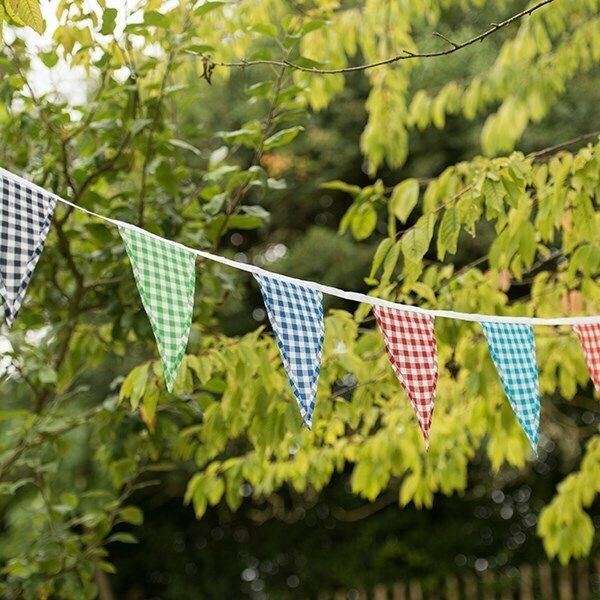 Hang it indoors to bring year-round colour and fun, or festoon the garden for barbecues and outdoor celebrations. 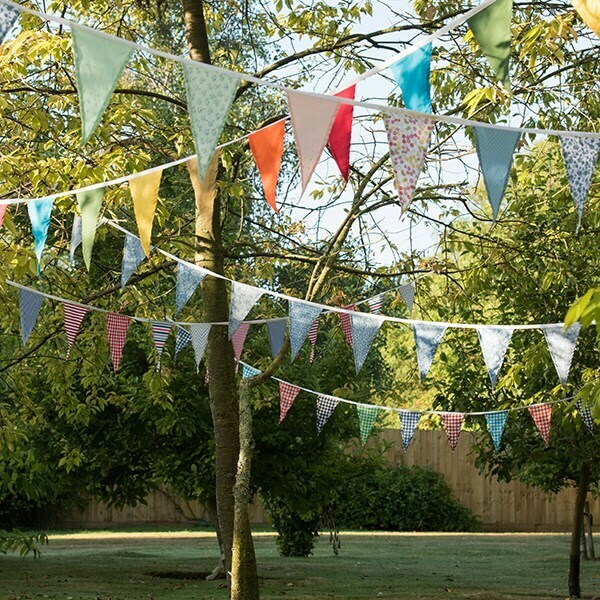 Made from 100% cotton percale, each bunting string features 15 flags in six shades - crimson, navy, red, royal blue, teal and green – on a white ribbon.